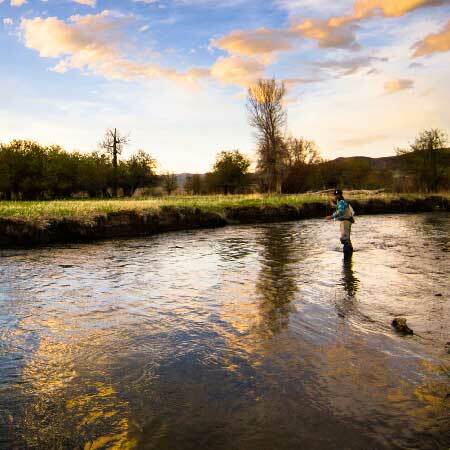 Our Jans Fly Shop is proud to offer Orvis Fly Fishing Schools in Park City, Utah. Sharing our love of fly fishing has been a staple of this company since we opened our doors in 1980. Our late founder, Jan Peterson, implemented free casting clinics “to help our customers better understand the performance of the rod and reel…[and] help them learn the art of casting a fly with ease and comfort.” In that sense, our partnership with Orvis is a no-brainer. They share our passion for fly fishing and have the same commitment to passing along knowledge and growing the sport. This Orvis Fly Fishing School will cover everything from equipment and technique, to safety and ethics. In short, it’s an intensive course designed to both improve your fishing, and make you a champion of responsible fly fishing practices. Our selection as an official Orvis Fly Fishing School is testament to the skill and professionalism of our Expert instructors, the quality of our Fly Shop, and Park City’s status as a world-class vacation destination. Sign up for one of our many available courses and come take your fly fishing to the next level with Jans and Orvis. For more information call our Experts at the Jans Park Avenue Fly Shop at435-649-4949or email us at cs@jans.com. Please note: Utah State Fishing License is required. To save time, we encourage customers to purchase a Utah State Fishing License and print before arrival. Licenses are available for in-store purchase, though the process can be time consuming. For in-store purchase please bring photo ID or old fishing license with customer ID #, and your patience.